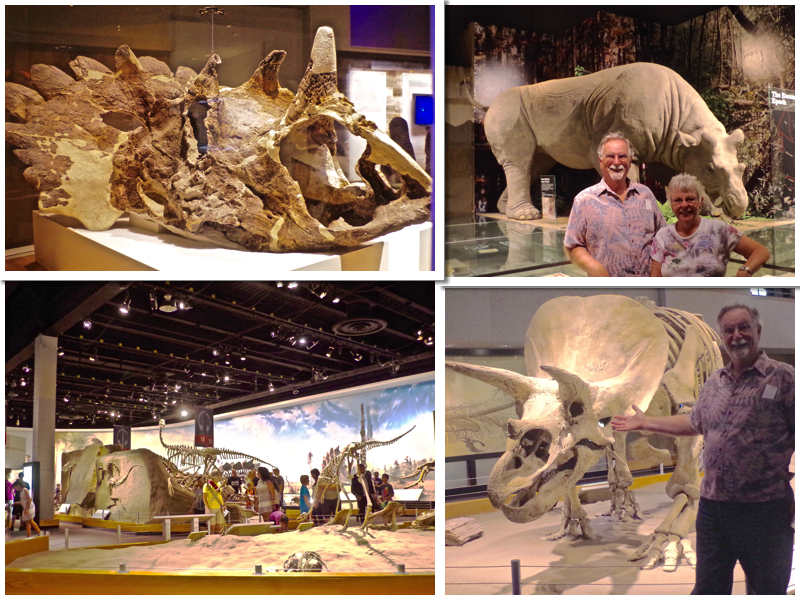 Spending time with friends is always a highlight along our journey, and visiting Ken and Sherrie in Calgary Canada is no exception. We met this lovely couple several years ago when we were hanging out in Indio California for a month. They were parked behind us and quickly became "fun friends". When it was shared that I had always wanted to see the Calgary Stampede, and their daughter works for it, it was decided that "someday soon" we would make a trip to Canada for a visit! We did indeed to do that in 2013 and enjoyed it and our visit very much! Ken grew up on a farm, and I put him to the test this time, having him teach us "what was all that growing in those fields?" So, as we took a drive out to his old farm one day, he stopped at several fields, and we got out and...right into the fields we went! First up, Canola! 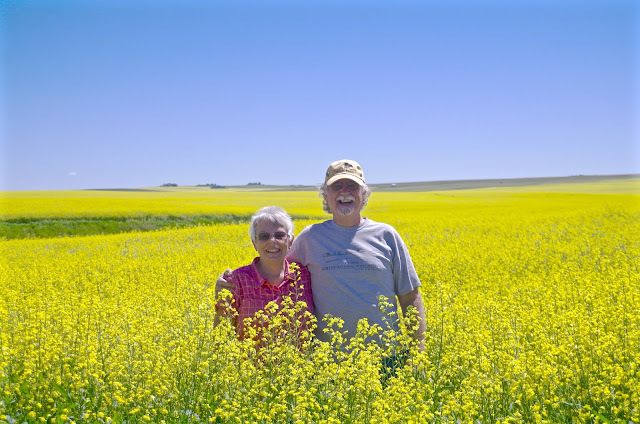 Well, we had learned about Canola on our first trip to Canada, but had never gotten "up close and personal" with it...this time we did! It's really pretty! At least this time of the year. It's flowering now, then it will grow 'seed pods' that will be harvested, and then pressed into oil...and that's what we all use! Did you know that "Canola" stands for "Canadian Oil"? Yep. Next was the Barley field. This was a surprise, because it was much flatter than I thought it would be...I would have guessed it was "wheat", instead. 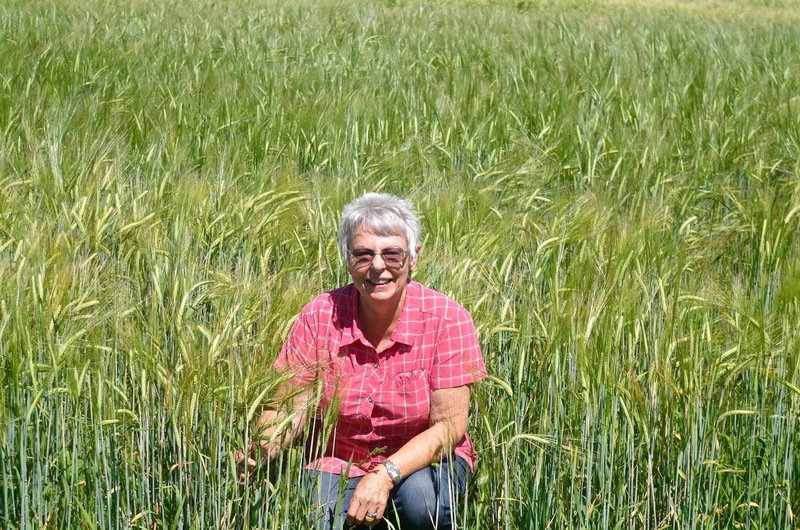 Then, he took us to the "Bearded Wheat" field, it was "bumpy" with long strands sticking up (I guess that's the 'beard'). Both were still a bit green yet, so to early for harvesting. They will turn a nice yellow to tan color and grow about another 6'' to 12'' depending on the rainfall. This area had acres and acres and acres as far as you could see of these three types of grains. They switch them around each season to help the soil out. Ken said that unless the farmers have animals, once they harvest in the late fall, they usually "head south (USA) for the winter, since you can't do much planting in the snow!" 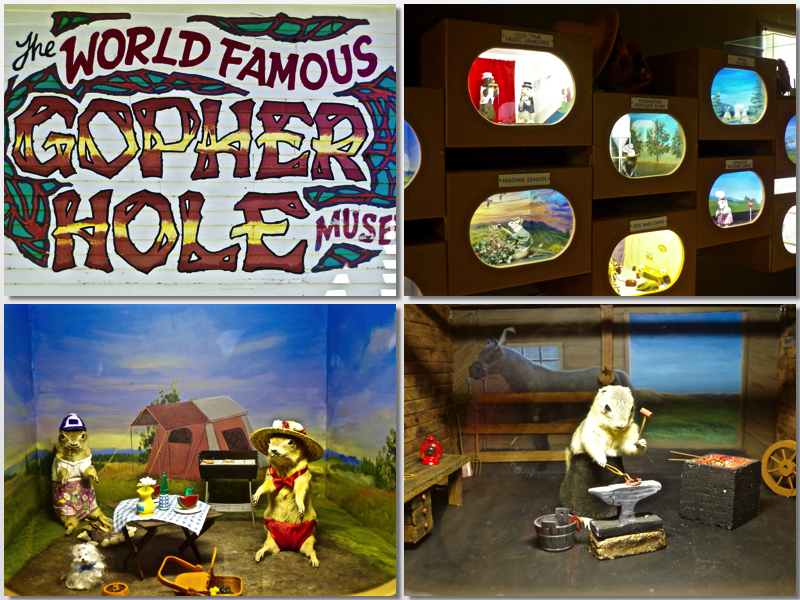 While we were out visiting the farm lands, we stopped in the tiny town of Torrington to see the "The World Famous Gopher Hole Museum". What a hoot! 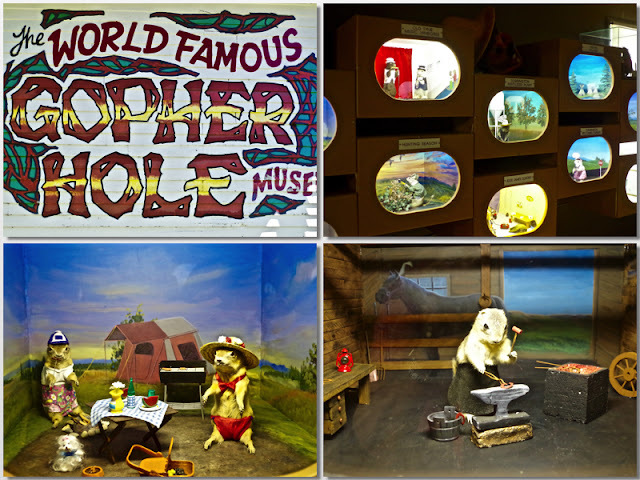 A little house filled with wooden cut-outs (gopher holes) that have stuffed gophers dressed up in various 'vignettes'. My two favorites, of course, were the "Village Campground" and the "Blacksmith Shop". I guess every small town has to have something to pull the tourists in. While we were there, 10 other people came in! Got to give them an "A" for imagination! As a special treat, we all went to the Sky 360 at the Calgary Tower downtown for dinner. It's a lovely restaurant that sits one floor below the observation deck of The Tower, a 627' tall free standing structure built in 1967. At that time, it was the tallest building in Calgary (not any longer tho). 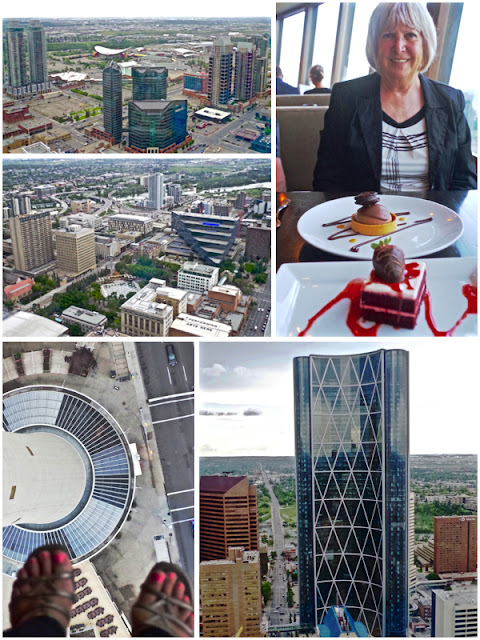 The restaurant revolves slowly around 360 degrees in a hour so that you can see all of Calgary while you dine. All the tables are next to the floor to ceiling windows. It was lovely (and the food was wonderful!). Afterward we went out on the observation deck as well. Part of it has a glass floor so you can look straight down if you like, pretty cool (not for Sherrie tho!). The sun doesn't set until almost 10PM in Calgary, so there still was plenty of time to walk around downtown and see some of the lovely sculptures and Olympic Park. The coolest, I thought was "Wonderland" by Jaume Plensa, a 39' metal/wire female, shaped head in front of one of the most beautiful buildings in Calgary called The Bow. Very sheik looking. 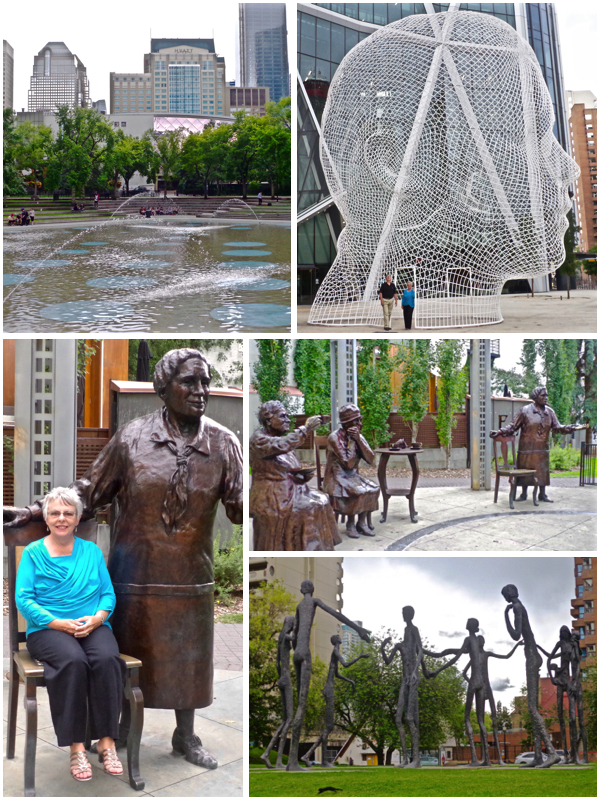 I also liked sitting with some awesome ladies who, in the early 1900's, challenged the British Empire in various ways (1st female Senator, Social activists, Alberta's 1st female Cabinet Minister, Preeminent suffragist, orator and authors). Pretty impressive, I'd say, I would have loved to have tea with any one of them! 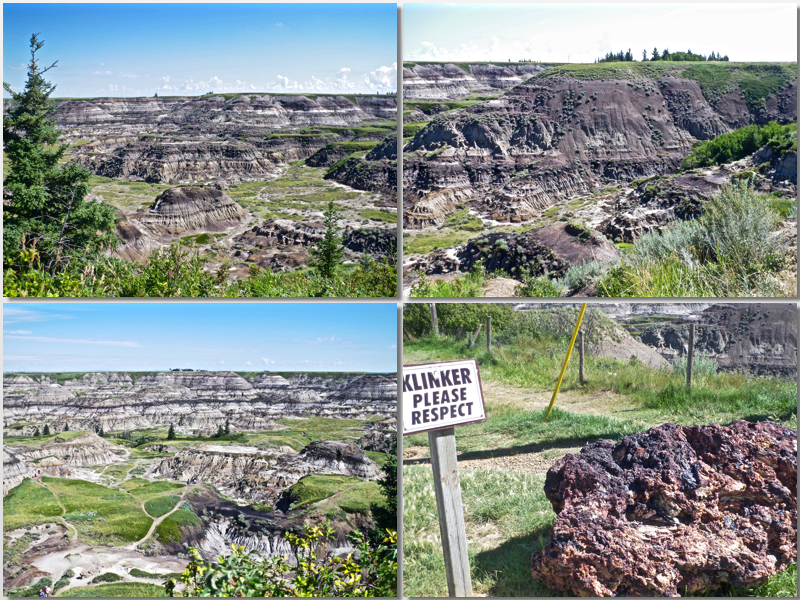 On our last day together, our friends drove us out to Drumheller, which is the heart of the Badlands. It looks so very different than anything else we'd seen around Alberta. Gone were all the farmlands and the city, replaced by prairie and a large canyon. Our first stop was at Horseshoe Canyon. What a great sight. The parking lot had very large"klinkers" bordering it that Jack was amazed at because "klinkers" are the waste products after coal has been turned into coke. They get them in blacksmithing (very small ones, of course)...these were huge! Like all good things, our trip came to an end...this time, but we will meet up again for more adventures! 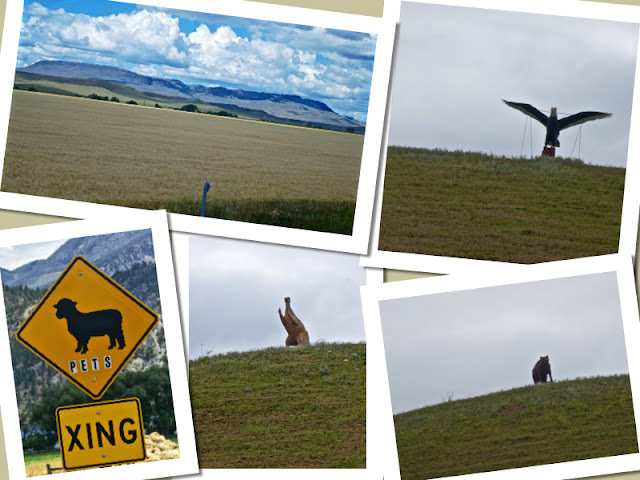 We've been to Montana a few times, so we try to travel a different way each time, which is not hard to do, seeing as how big and empty the state can be! Coming in from North Dakota this time, we chose the less busy, more scenic roads, Hwys 2 & 12 mostly. This lead us to the small town of Havre. 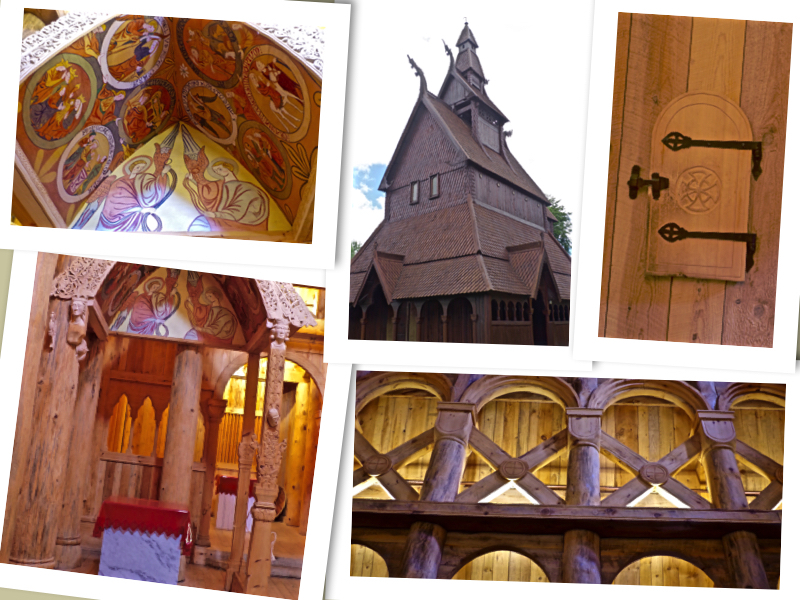 We had heard that it had an "underground city", that sounded worth checking into, so made it our two-day stop over. 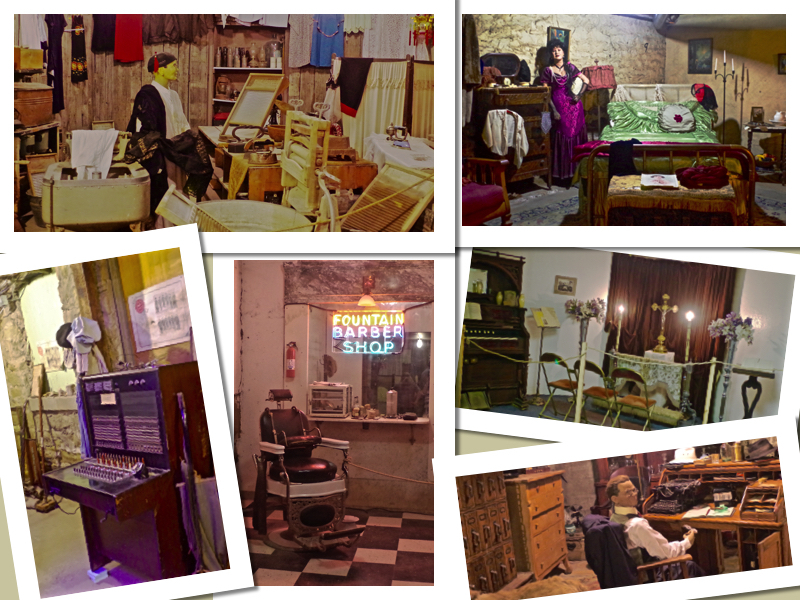 Havre Historical Underground was most interesting indeed! There were about a half dozen of us on the tour, and our guide Gene, a local gentleman who grew up in Havre, began "above ground" by walking us around the block to the entrance. In January of 1904 a devastating fire wiped out a large part of the Havre business. A shortage of building materials made it difficult to rebuild immediately, so the businesses moved their stores to the steam tunnels running under the city until their buildings could be replaced above ground. At one time it consisted of 7 blocks, the refurbishing of it now, for tours, is about 3 blocks, but really well done. The underground tunnels were there long before the fire, as they were originally used for storage, then later used for a variety of things (Prohibition, prostitution, etc). We've been to the underground tour in Seattle a number of years ago, and this tour was so much better. 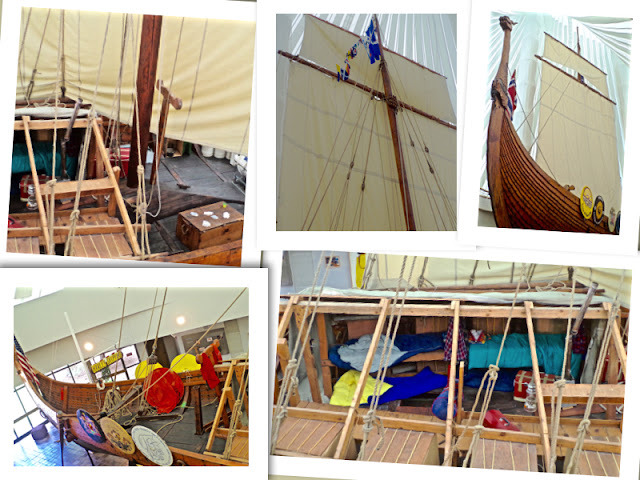 The group that put the work into this have really put a lot of time, effort and money into making it quite a museum and a step back into an interesting time of their unique history. I'm glad we made the stop. 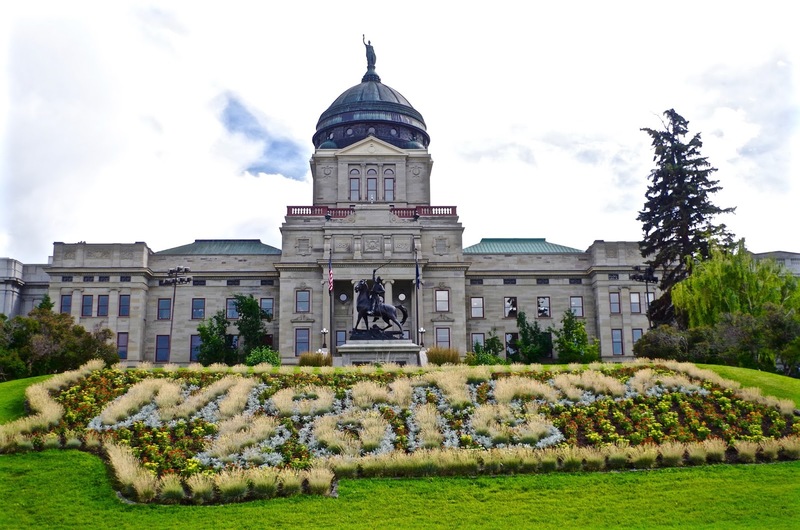 Our next big stop was the capitol of Montana, Helena. We were meeting up with some of our friends there, so we had a few days to spend sightseeing. First stop tho, was to see the Capitol itself. Once again, it was practically deserted, just a very few other people and almost no employees (and yes, it was a weekday! )...makes for easy pictures tho! Only downside was that all the "rooms" were locked, so I had to try and shoot through the glass doors...;-( No guide, no brochure to tell you much, so we just wandered around, best we could. Pretty building, with a pretty dome and a really nice floral entrance that spelled out Montana 2016 with the shape of the state that I thought was cool. 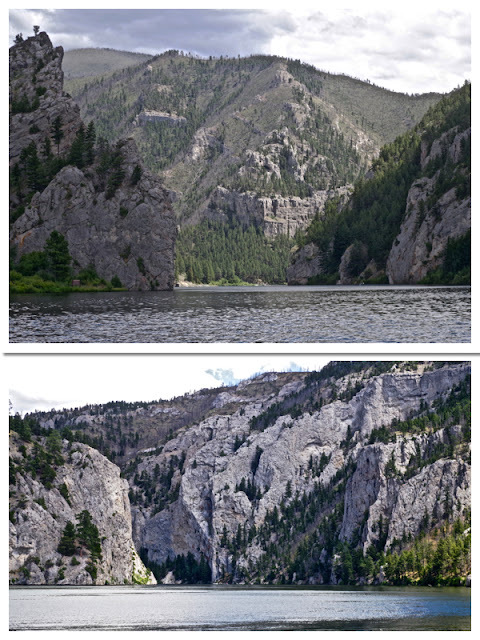 We took the boat ride along the Missouri River through the Gates of the Mountain with our friends. It's a beautiful tour that leads you past wonderful rock formations, along where Lewis and Clark went. It's an optical illusion where it looks like you are at a dead end, then as you come around a corner the cliffs (gates) seem to "open up" and you can continue on through, a great sight to see. Along this route is also where, in 1949 the Mann Gulch Fire took place and 13 firefighters lost their lives. It changed the way forest fires are fought today. The boat captain makes it a fun tour, pointing out various things along the way, like some ancient American Indian cliff pictographs, and several rock formations that look like "monsters" or "elephants". We saw a Bald Eagle flying and it's nest, that day too. 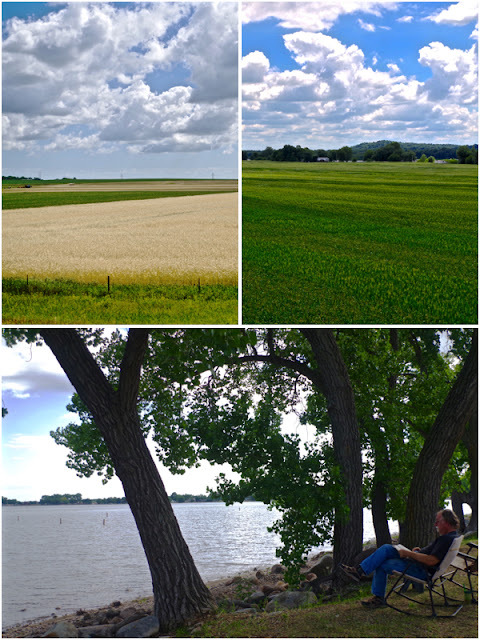 The areas on both sides of the Missouri River are protected, on one side it's the Hauser Nature Preserve and the other it's the Bureau of Land Management. Nice, so it will always "be there" for us, for our children and their children to see. We are now on our way into Canada to see some dear friends we've met during our adventures on the road. Looking forward to seeing all those miles of Canola again too! 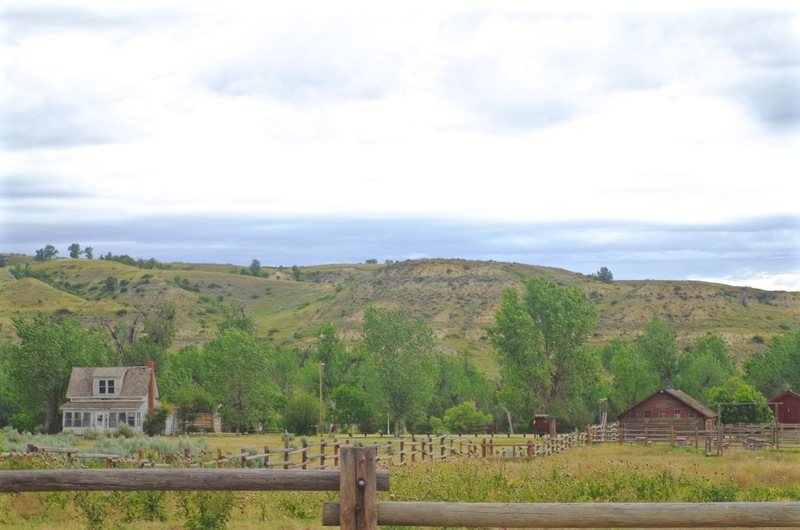 Mountains, Music and Majesty in Medora North Dakota! We went to the tiny town of Medora North Dakota to visit the Theodore Roosevelt National Park and found so much more. I love National Parks and have such a big spot in my heart for the people who had the foresight to have saved them for us. Every time we visit one I'm reminded how very lucky we all are and wish that everyone can see and enjoy what I am seeing at that moment. Each one is so very different from the other, it never ceases to amaze me. When I told my husband that I wanted to take this trip across North Dakota to go see this National Park, he said "but we already saw the Badlands in South Dakota". I explained that I had read that these were "different", and that I had read that according to President Roosevelt, "they were like no where else, and that they had changed his life". That sounded beautiful to me, so I wanted to see them for myself. The first day after arriving it threatened to rain, but that didn't stop me, I wanted to get out there and explore the Park, so off we went, lunch and camera in hand. The President wasn't wrong. Beautiful, and yes, very different from the Badlands in South Dakota! For one thing, so much more greener! That was my biggest surprise. Different colors too, where the ones in South Dakota seem to have more yellows, pinks and white, here there seems to have more grays & blues mixed in. They also seemed more rounded and less jagged than the ones in South Dakota. We also saw more animals here too. 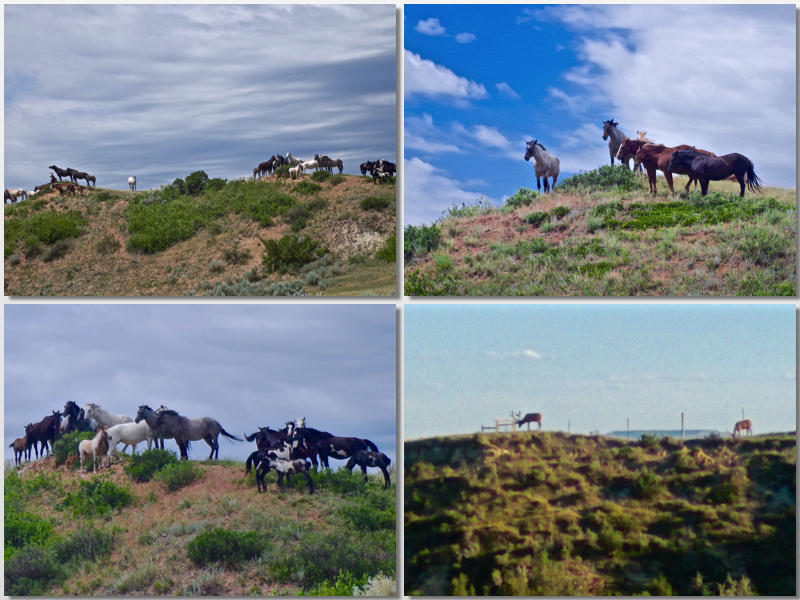 Besides the ever present prairie dogs and occasional bison, this time we lucked out and saw a few elk and some magnificent wild horses! 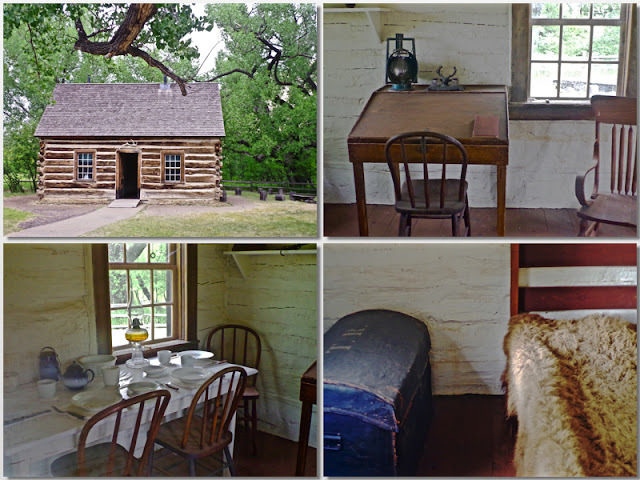 Nothing was left of Teddy Roosevelt's Ranch but his Maltese Cross Cabin, which they have moved to the Ranger Station along with some artifacts that were left behind, so they are on view. He only used the cabin for a year (1883-84) before he built the Elkhorn Ranch that he used until 1901 when he became President. This part of North Dakota lured another famous person besides Teddy Roosevelt here, a gentleman by the name of Marquis de Mores and his wife Medora. He so loved the area, in 1880 he built a 26 room summer house (hunting cabin to him - "Chateau" to the towns' people) and set upon starting a number of enterprises. His first, and biggest was running a beef-packing plant that included refrigerated railway cars, cattle and sheep ranching. He also added a stagecoach line...all before they failed and eventually he and his family returned to France. 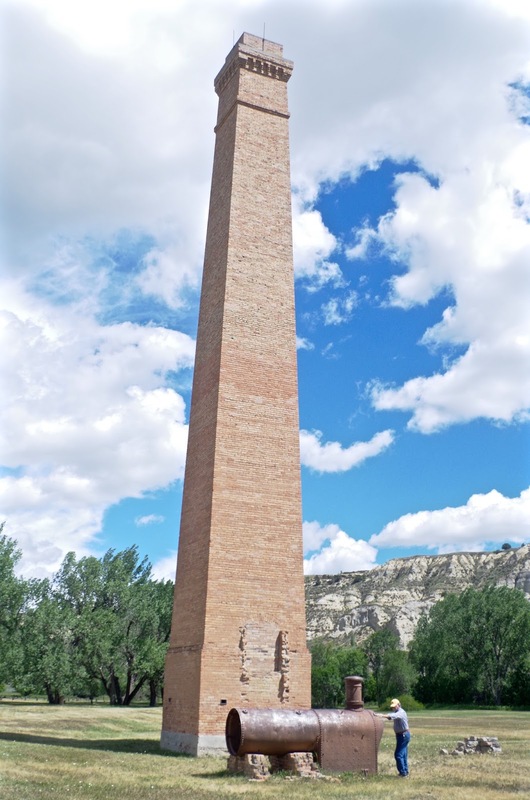 His home and furnishings are on display along with several other items, but only the 84' tall chimney and a few bricks are left of the beef-packing plant. He was ahead of his time I'm afraid. He and his wife were quite a pair though, it would have been quite something to have met them I bet! Can you just imagine a dinner with them and Teddy Roosevelt, what conversation that would have been? Medora doesn't stop with those attractions (nor the tons of gift shops in town!). They have a wonderful musical that they put on at their Burning Hills Amphitheatre. You can add dinner to you evening as well...which we did. 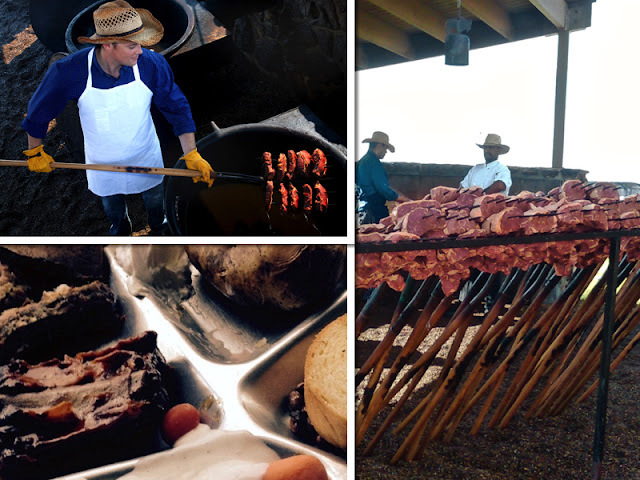 They have two buffets to choose from, Jack chose the chicken/ribs/roast, while I went for the "Pitchfork Steak Fondue"! Wow! It was worth it just to watch them stick those suckers in the large vats and cook them! Of course it comes with a ton of other stuff so that you ache when you walk out of there and over to the Burning Hills Amphitheatre. 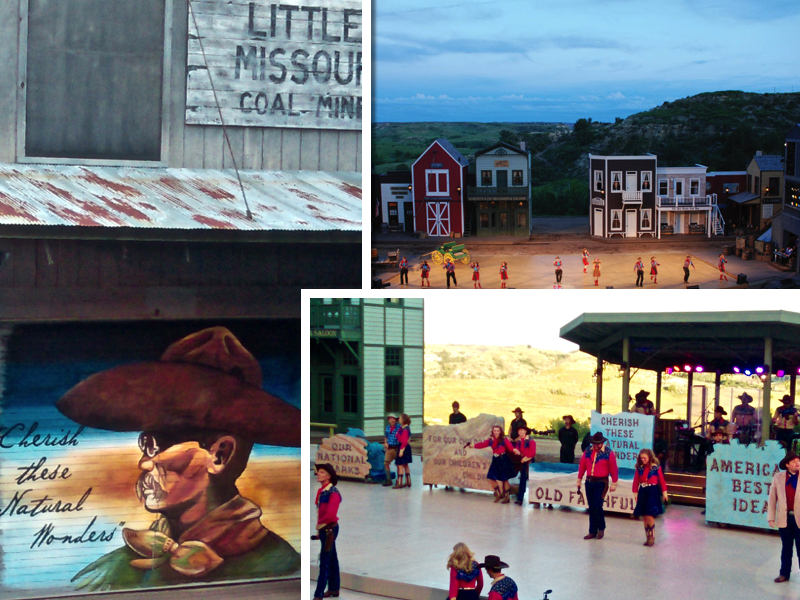 The Medora Musical is about two hours and was top quality. It had 6 gals and 6 guys and a young man, Chet Wollan, who was the host/singer/dancer, that had made his first debut with the show at 4 years old. 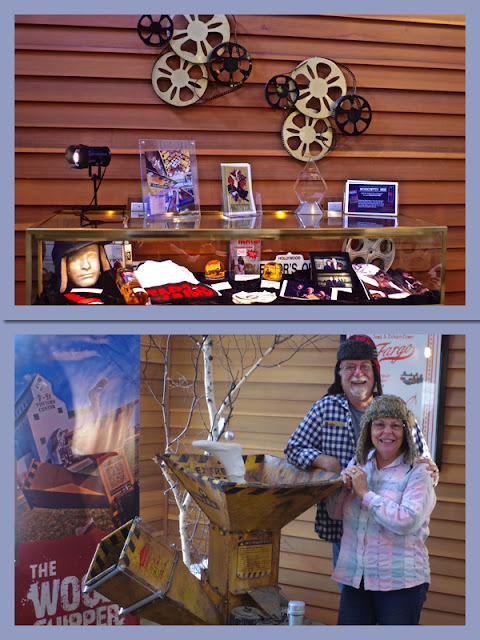 It is his first year as host, but you sure could see his love of the show and his talent! The previous host, who had been with the show for many years, had recently past away. They change the theme each year, and this year's was a little bit about him, and a lot about our National Parks. It even had a spot where they brought all the children up on stage and had them take an oath to help continue the Parks (and gave each one a button). Very cute. It was a truly a very entertaining evening. For now, I'm so glad we made the trip! 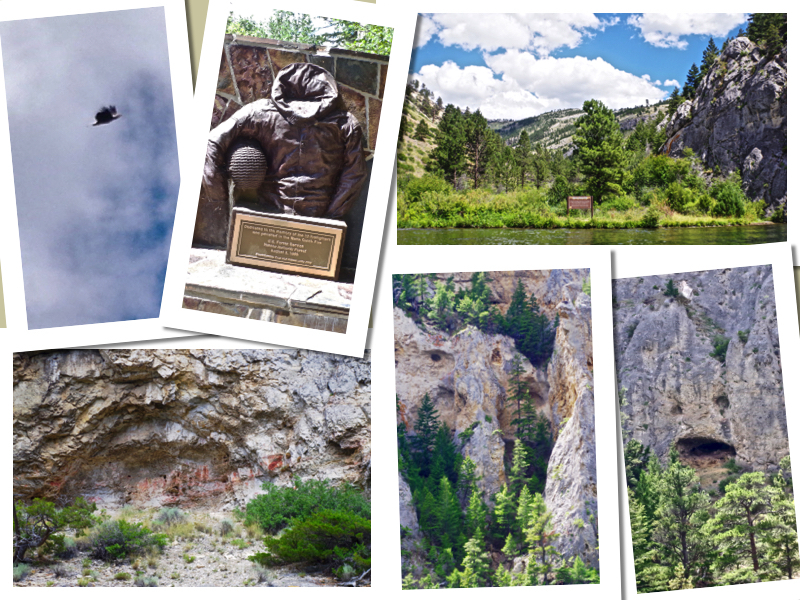 Goodbye North Dakota...and thank you President Roosevelt! 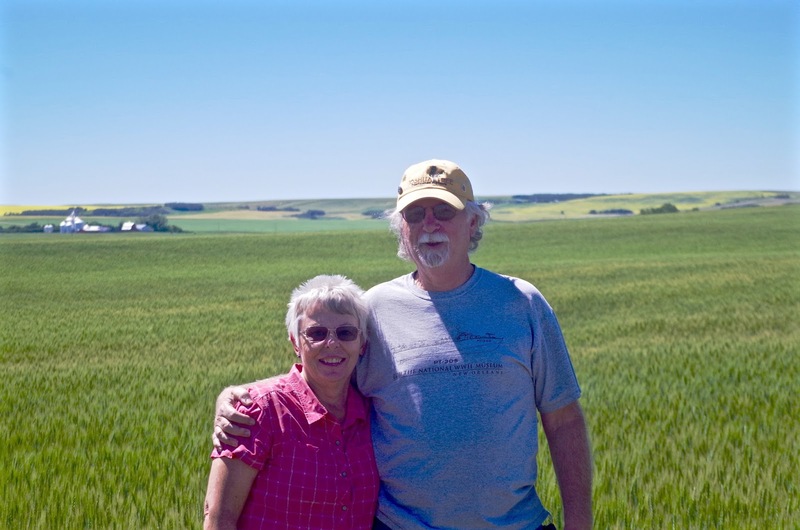 We finally made it to North Dakota, you betcha! With only a couple more states left on our US map to go, filling up the spot for North Dakota was a primary goal of mine this year, and by golly, we finally made it! We had three locations we wanted to visit...Fargo (had to see "The Chipper"! 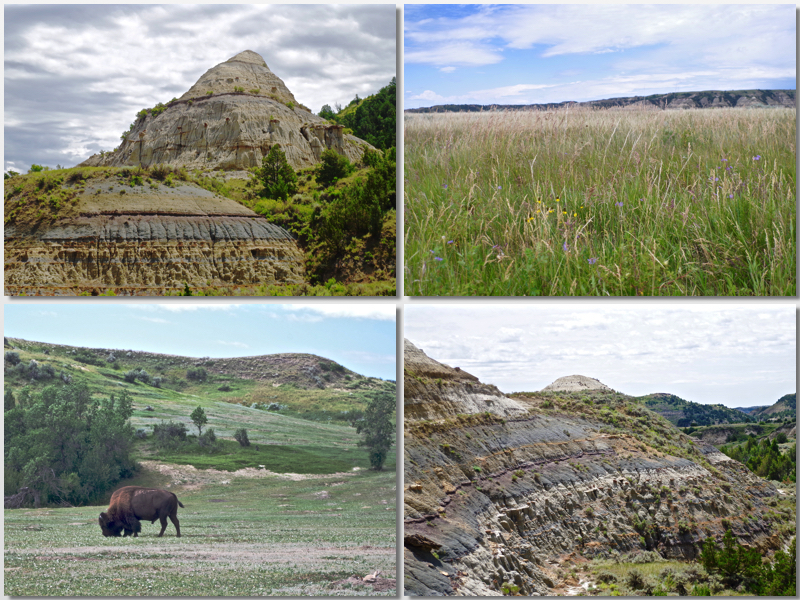 ), Bismark (might as well go see another Capitol) and the saving the best for last, a few days exploring the Theodore Roosevelt National Park outside of Medora. Outside, they created a "Walk of Fame" where they transplanted (from downtown) cement squares of hand & footprints and signatures of famous people from North Dakota...like Garth Brooks, Jimmy Dean, Bill Gates, Dr. Ruth, Zig Zigler, etc. Kind of cool. Afterwards we went to the Hjemkomst Center where we had read about how this gentleman had built almost entirely by himself, a sailing replica of an ancient Viking ship. Wow, when you walk in, you look almost straight up, as it is 77' tall (63′ mast) and 30′ x 38′ long. She was beautiful! Bob Asp had a dream. He thought it would take him a year...it took him nearly six. He was a junior high school guidance counselor and he could only work on it during the weekends and summers. Early on, he was diagnosed with leukemia, but that didn't stop him, he kept going, determined. Bob was able to see his dream completed and was able to be on it's maiden voyage, under her own power, in the Duluth Harbor on August 9, 1980. Although Bob died on December 27, 1980, his family was committed to keeping his dream of sailing the Hjemkomst to Norway alive. On August 9, 1982, the Hjemkomst reached Oslo, Norway, her final destination-the destination dreamed of by her creator and builder, Robert Asp. Bob’s dream had been fulfilled. What a story, what an incredible man, family, and ship. The best thing I can say about Bismark...is that it's an unusual town. It's nothing like I expected, that's for sure, starting with it's Capitol. 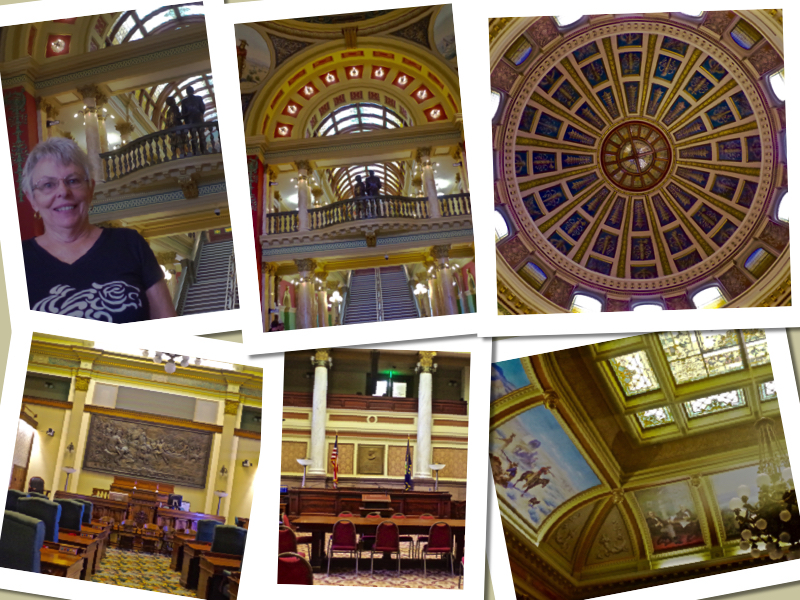 Every State Capitol building we've been to has had a "rotunda". They all have been lovely, some more than others and one was absolutely gorgeous. This one, however...was a 21 story tower. When we were given our tour, I asked "why no rotunda?" and was told that "rotundas are wasted space, and this was built for efficiency". They not only house their political offices here, but many other government agencies as well. The first Capitol building, built in 1883, burned to the ground in 1930, forcing them to build a completely new building. Built in the 1930's, during the Great Depression, they chose function and simplicity. 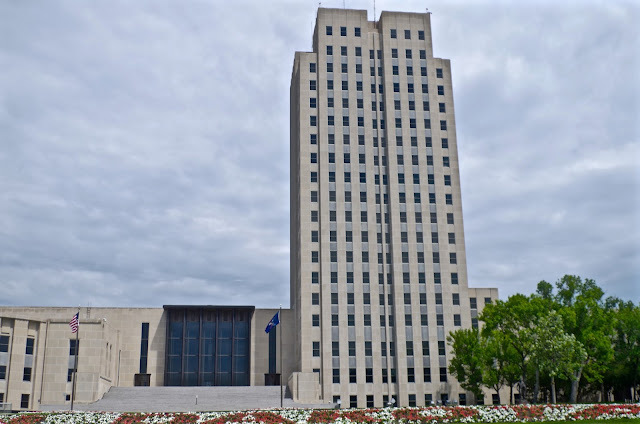 Inside, they went with an Art Deco style and with 19 stories expected to have plenty of space for years to come, but more space was needed by 1955 when construction was begun for the State Office Building. In 1968 the Dept. of Transportation building was added and the Judicial Wing was added onto the base of the Capitol tower in 1977. 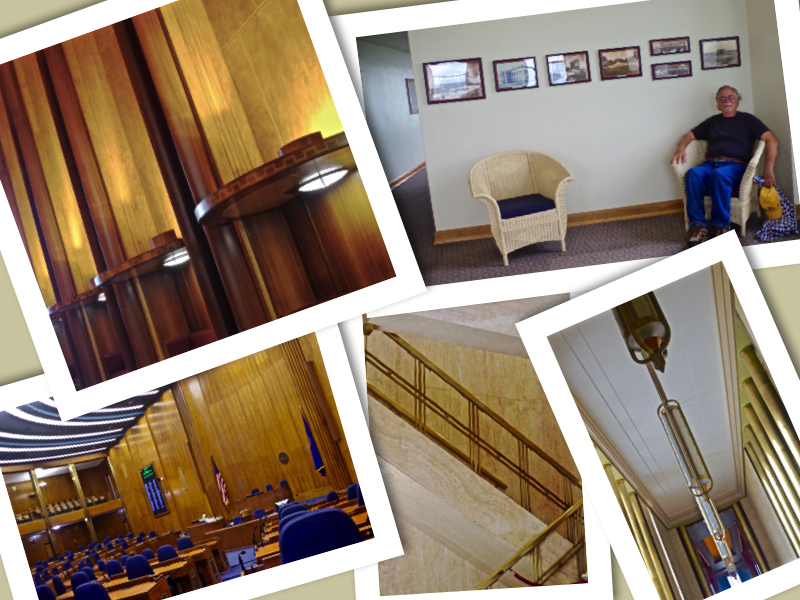 Even with all this, she shared that not all the legislators have offices and have to share "open spaces". The 18th floor was a nice observation floor with windows showing great views of the city below. 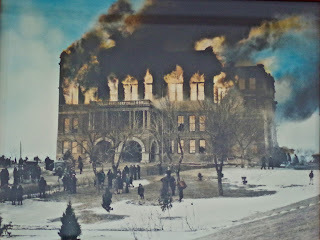 They had some wonderful old pictures of the first Capitol building and even while it was burning. They had beautiful old wicker furniture that had been hand made by patients in the state mental hospital back in the 1930's. 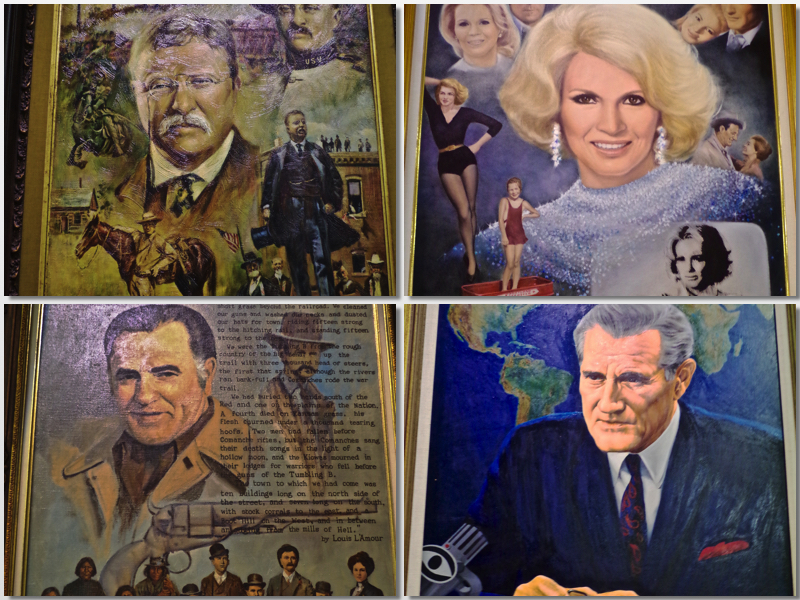 Back on the ground floor, they too have a "Hall of Fame". North Dakota is sure proud of the people that are either from here, or have lived here! ;-) Here, they put up large oil paintings with very nice plaques telling you all about each of them. Their group was quite long. Of course it had at the very beginning, Teddy Roosevelt, but it also had such greats as Angie Dickinson and Louis L'Amour, and even Eric Sevareid. Being in Bismark over the holiday was an experience in itself... 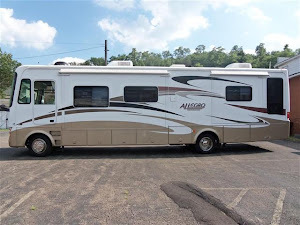 It started with our campground. I'd say that we've really had pretty good luck with campgrounds over the 4+ years of being on the road. Friendly staff, friendly people, nice surroundings usually. When holidays come around, some celebrate a lot, some only a little. Either way, it's okay with us. Well, when I arrived here, the hostess didn't greet me, she actually didn't say anything to me until I finally asked her about the weather! I chalked it up to her just being "quiet". She didn't even tell me our site #, just said "follow me". I never saw her again. Two days later, Jack doing laundry, had his shirt off because it was 95 degrees, stopped in the office to ask her for change, she walked in and said "you can't come in here without a shirt" and turned around and walked back out. That was it. The other odd thing was the rodeo...we saw a big billboard advertising it and thought that would be fun to go see! So, went on the web and looked it up. 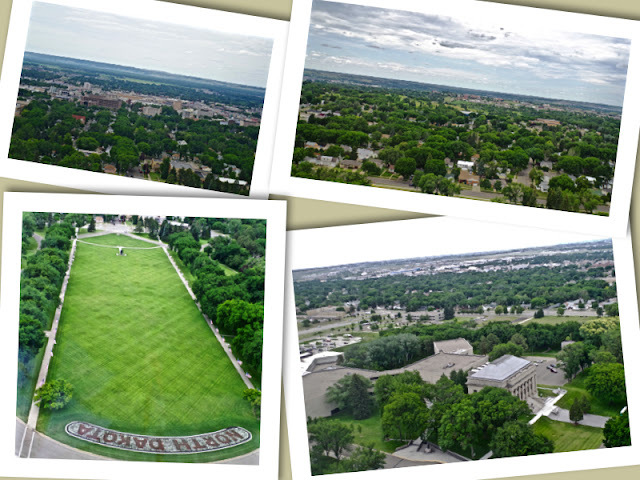 Great web, lots of pictures, said it was in Mandan (the town right next door), that it was $18. Nothing more...not it's actual location, what time, etc. Jack read in the local paper that they were having a pancake breakfast on Sunday, so we thought, great, we'll go to that, then we'll head over to the fair & rodeo! So, with little sleep from the night before, we got up anyway, headed out and figured out that since Mandan was small, we'd see signs pointing us to the "fair". Well, we found our way...but no signs...and everything was closed. Nothing said anything about the breakfast, or the rodeo. Hmmm. Well, we found a cafe nearby, Kroll's Diner, and stopped in for breakfast. After a great breakfast, we asked the waitress about the rodeo, she said "oh, it's wonderful, it starts at 7:30pm". "Oh...what about the fair?" 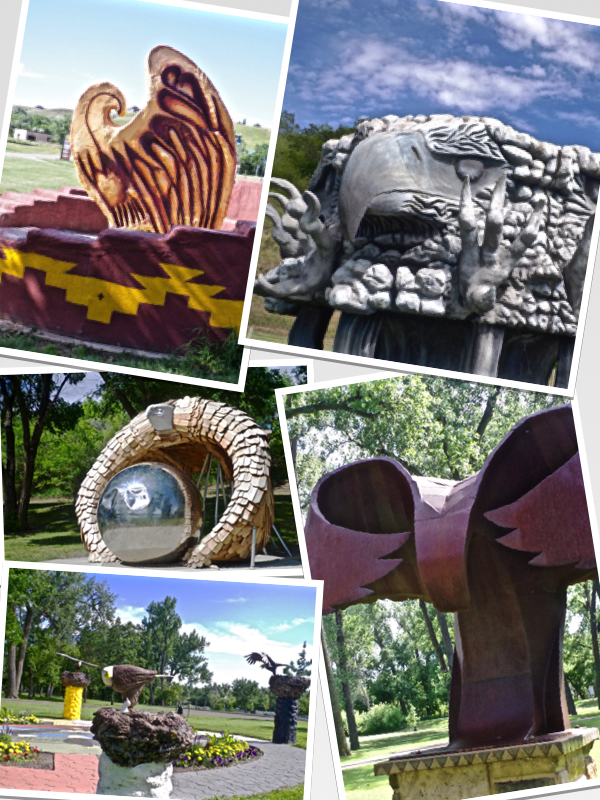 I asked, "well", she said, "there is "Art in the Park" and gave us directions to that, and "the carnival?" and gave us directions to that...all three things in different areas! Funny. We went to the Art in the Park, which was nice, laughed about what they called a carnival, which was about 10 little rides and then went home. A nasty storm came in late that afternoon and just poured rain like crazy all evening. I felt sorry for anyone who had pre-purchased their tickets for the rodeo (or maybe they cancelled and made good for the next night). Three years ago we traveled through the western side of South Dakota, where we enjoyed seeing the Badlands, and stopped at the famous "Wall Drugs", but this year our goal was to visit North Dakota, especially Fargo & Bismark, so we needed to scoot through the eastern side of South Dakota...and see what we could see! Well, we weren't disappointed! No false advertising here. Now, as stated in their brochure (which we had picked up at the South Dakota Welcome Center) they were still working on it, and would be for another month. Which, was cool, because it gave you an better idea on how it's done (they call it "corn by numbers"). They also show you a video on how they do it as well. They change the theme every year, sporting a new one each time. 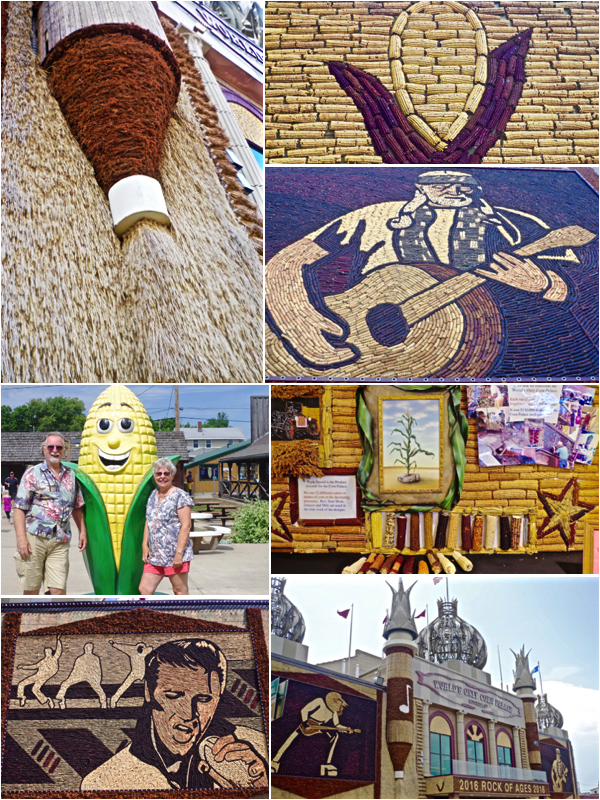 600,000 pieces of corn are used to decorate the outside along with 3,000 bushels of grains and grasses: milo, rye and sour dock. They have 9 different colors of Indian corn that they use to create the mural pictures. 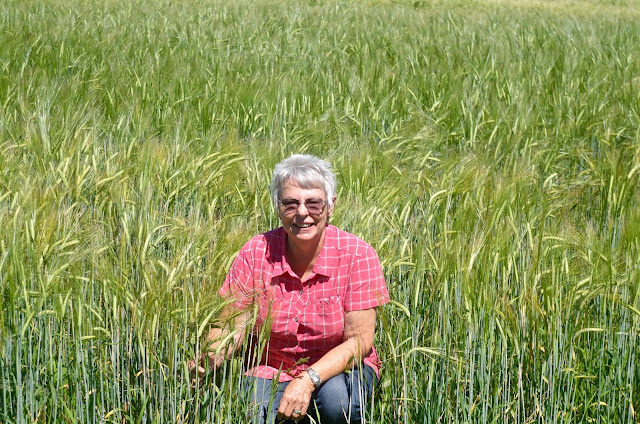 It's grown locally and has to be separated by a mile so that it doesn't cross pollinate. Over a ton of nails, staples, and wire are used to fasten the corn and grasses. 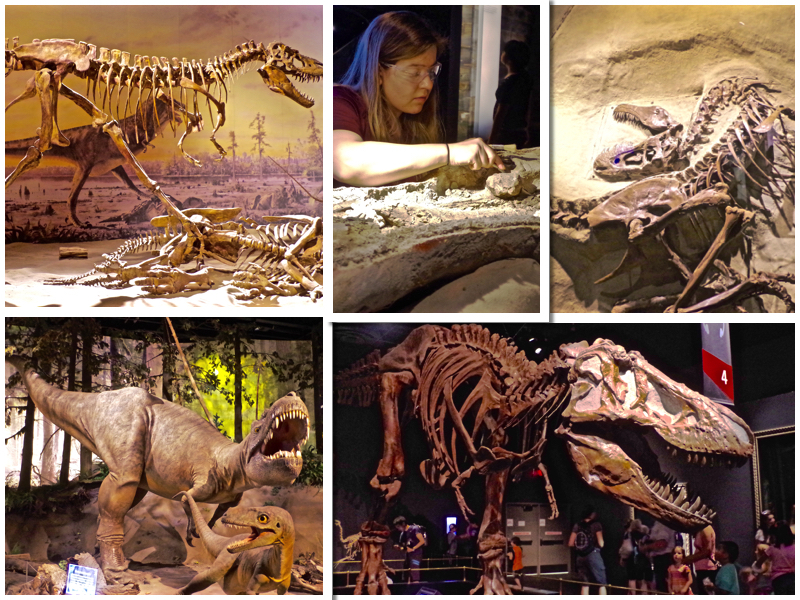 They spend approximately $100,000 each year for the redecorating and don't charge any admission for us to come and view it, take the tour, see the museum and "oh & ah". ;-) They do have special concerts and programs that they do charge for tho. They have been doing this since 1892...can you believe it? 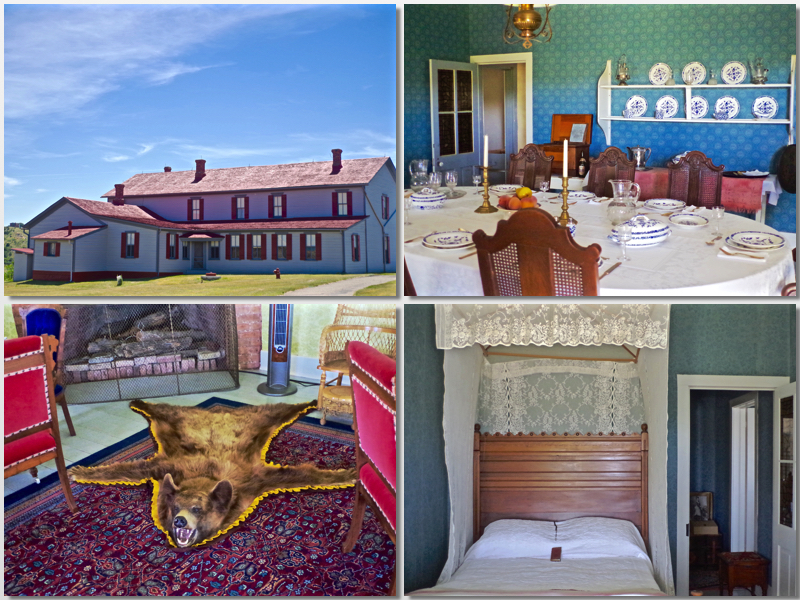 At one time there were 34 palaces in 24 towns across the Midwest. All are gone now, except for this one in Mitchell. It's huge, and it's beautiful and it's truly a work of art. I had heard of it and thought it was something "corny" (no pun intended), that it would be just a bunch of corn stalks stapled together somehow. I never expected it to be a true work of art. In many ways it reminded me of the beauty that goes into the floats at the Rose Parade, only on a much grander scale. I was so glad we came. Our next stop was a brief one in another small town, called DeSmet. If you grew up reading the books of Little House on the Prairie by Laura Ingalls Wilder you might recognize that name. This is where her "Pa" began his homestead and where "half pint", as she was called, came to live from the age of 12. 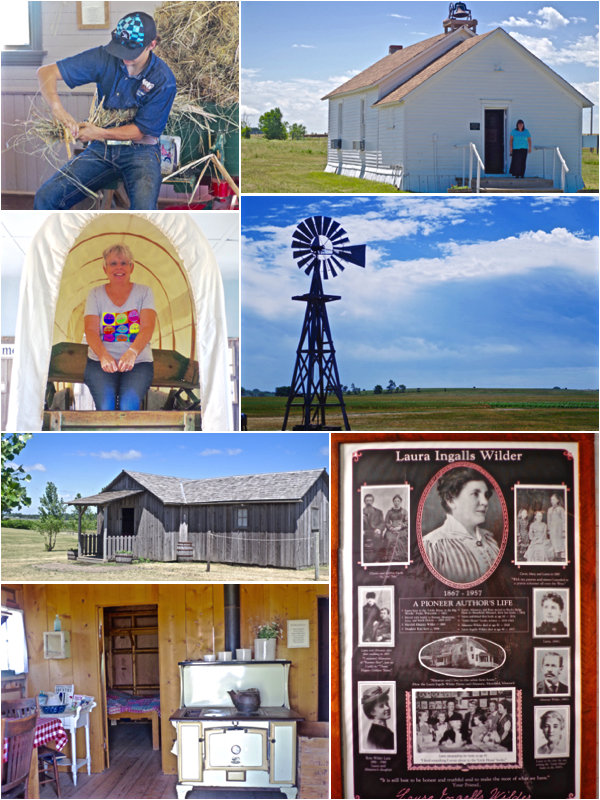 The town is pretty much "all about Laura Ingalls Wilder", from the Ingalls Homestead to their home, to the cemetery. We spent a lovely afternoon out at the homestead touring the various building and watching the demonstrations, taking a wagon ride out to the school house and viewing the acres of land. It was a tough life that they lived, plowing hard dirt by hand, walking miles to school through all kinds of weather, enduring much to gain a title to this piece of Dakota prairie. I was surprised to learn that Ms Wilder didn't even start writing until she was in her mid 60's, and at the encouragement of her daughter Rose. Laura was the only one to have any children, and Rose was the only one that lived, so when she died in 1968, she was the last of the Ingalls/Wilder family. She too was a writer. The rest of our drive was pretty much long stretches of "amber waves of grain" as the song goes, and fields & fields of corn until our last camp stop before we left the state, at Lake Kampeska. A lovely site, very peaceful. We were only there a couple of night, but had a site that faced a second one and met two delightful ladies who were "locals" just enjoying a couple of days off from work. We had a wonderful chat, sharing a bit of our travels & experiences with them. 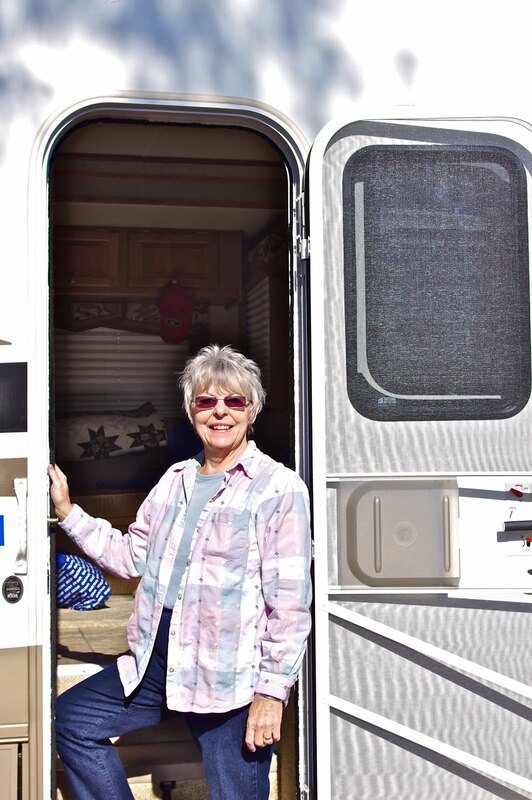 Sara had just purchased her Class C and was looking forward to getting out more and going "further" with it than she had with her previous RV. Always fun to encourage folks to get out there and enjoy this wonderful country of ours!